Nitish Kumar can be dubbed "the Mystery Man of Indian politics." He has somersaulted again this week to support the BJP's presidential candidate, Ram Nath Kovind. It is most puzzling as he himself had initiated the move to galvanise opposition parties to put up a united face against the ruling BJP for the Presidential election. In fact, he even had a few meetings with the Congress and other opposition leaders about this. But now he is in another camp, though his party has clarified that this should not be construed as any kind of an ideological dilution in its approach towards Modi and his regime at the centre. Irrespective, in the most certain terms, it is a jolt to the opposition unity. I have always admired Nitish for two reasons. One, he is a very sharp politician and there are very few rivals who can match him in the management of the politics. He is the product of the JP movement and has always been a socialist. He was with the Janta Dal which defeated Rajiv Gandhi in 1989. When the Janta Dal fragmented into many groups, he sided with Lalu Yadav, Sharad Yadav and Ram Vilas Paswan; that too was to further fragment. There was a time when he was in the wilderness and his future looked bleak. It was at this time that he along with George Fernandes formed the Samta Party, aligned with his ideological enemy, the BJP, and became a minister when Vajpayee formed the government at the centre. Despite the Gujarat riots in 2002, he did not leave the NDA which finally paid off when he became the Chief Minister of Bihar in 2005 with the support of the BJP. His affair of 17 years with the BJP ruptured when he objected in 2013 to Modi being projected as the Prime Ministerial candidate by the BJP. During the assembly elections in 2015, he allied with sworn enemy Lalu Yadav and successfully formed the government yet again, becoming Chief Minister for a third consecutive term though he had fewer seats than Lalu's party. Now, he is once again flirting with Modi and the BJP. The second thing which I admire about him is his clean image. In the 2010 Bihar assembly elections, I traveled to report on the state and did not find a single individual critical of him. I later checked with other editors and reporters and they concurred. He has served as central cabinet minister and has been the Chief Minister for over a decade, but there have been no corruption charges against him. This is a rare quality in today's world. After Lalu's era, Bihar is back on its feet, but in his third term, things are slipping out of Nitish's hands. Bihar needs not politics, but a new kind of governance. Nitish has failed on this count and should be criticised. 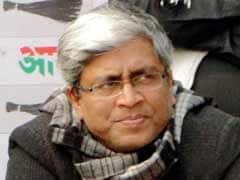 His problem is that he is a typical socialist, a true follower of Ram Manohar Lohia. A brilliant mind and original thinker, Lohia however could not make the socialist party a grand success because he had no acumen for organization and development. He was a man of ideas, not of organisation. Similarly, Nitish grew as a politician in stature but he did not pay attention to his party. The Janta Dal (United) under his leadership gives an impression of being a loose group of a few individuals. It has no pan-Bihar organisation. It has no cadre, it has only activists. It has no firm structure like the Congress once had, or that the BJP has today. It was Nitish's genius that despite his party being a 1/4th party in the state because of its organisational weakness, he has managed to remain at the helm of affairs for more than 11 years. Nitish knows he can't form the government on his own. He needs other parties for support. Ideally, he would have loved to have his own government, but he has to make compromises to deal with the BJP, the RJD and the Congress - and he is comfortable with none of them. I remember once when I was interviewing him in Patna, he was uncomfortable when I asked a pointed question about how he made compromises with the BJP's communal politics. His irritation was visible on his face. Later, when the cameras were switched off, he expressed his helplessness and asked what he could do. He had no option if he had to survive as a political entity. It is true that Lalu and Nitish belong to the same ideological fold. Both were together in the JP movement. Both are die hard supporters of Mandal politics, both of them used backward politics to further their political careers. Both are rivals for the same political space. That is why both drifted apart in the mid-90s. But while Lalu emerged tainted with corruption, Nitish managed to float clean. Nitish is image-conscious. He knows that the longer he is in the company of Lalu Yadav, the worse his image will be tarnished. Lalu has once again been charged with the accusation of amassing benami properties and the Income Tax department is hounding his entire family. Nitish should be uncomfortable. But he can't afford to leave Lalu at the moment. His support for Ram Nath Kovind, the BJP's choice for President, could be his way of sending a signal to Lalu that he has other choices. But there is another narrative too. Nitish is very ambitious. He has fulfilled his decades-long ambition of being the Chief Minister of Bihar. He is considered a big leader at the national level. Any small move of his captures national headlines. His friends and supporters are of the opinion that now he is eyeing the top job. He wants to be Prime Minister and he believes that he has the requisite qualifications for the same. He also knows that he does not have the numbers and his party will never have them. Coalition politics is the only hope. The Congress is down. He can be a "secular" choice and the joint opposition candidate if a situation emerges similar to 1996 when H D Deve Gowda emerged from nowhere and later I K Gujral occupied the same seat. These leaders did not have the numbers but they were supported by the Congress and other regional parties. Nitish's government supported by the BJP ran smoothly for seven years. He broke the alliance on the issue of Modi becoming Prime Minister. In the beginning of 2013, he asked the BJP to choose a Prime Ministerial candidate who "would take everybody along" and would be inclusive. His attack was on Modi. In fact, he cancelled a dinner that he invited BJP leaders to when his posters with Modi were pasted in Patna a day before that. His folly was that he decided not to support Modi at the national level. That move backfired badly. Now, Modi is comfortably placed. Nitish is probably the only opposition leader who has a good rapport with Modi. Who knows if Modi falters in 2019? As former PM Chandrashekhar used to say - politics is the art of impossible. Nitish is not naïve and has a far superior political sense than he is credited for. His support for Modi on the surgical strikes against Pakistan, demonetization and now for Kovind certainly has a hidden political motive. What could it be? Either he is ready to junk Lalu, or he has the future in mind - 2019. In Bihar, it is said about him that he has "teeth" in his stomach which means he can digest anything and no one will be any wiser about what he consumed. No wonder he is a mystery man.